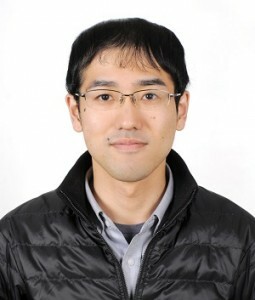 The objective of my research is to understand the relation among structure, molecular motion and functions at interfaces of organic molecular devices from the viewpoint of polymer science. I am glad to be engaged in education and research in the leading program which is designed to produce global leaders. Let’s produce some new paradigms with us under the characteristic program in which students having different majors make researches cooperating and interacting with each other. My field of study is organic chemistry, especially synthetic organic chemistry and asymmetric synthesis. I am interested in the development of a novel and useful synthetic reaction, methodology and catalysis. Now I study about “palladium-catalyzed nucleophilic substitution of benzylic substrates” and “asymmetric hydrogenation of aromatic compounds”. My favorite motto is “One who only knows it is no match for one who likes it. One who only likes it is no match for one who enjoys it.” It is very important for me that the students in this course enjoy learning and enjoy studying. I completed my Ph.D. degree in November, 2010 under the supervision of Professor Mark MacLachlan at the University of British Columbia (Vancouver, Canada). The research theme of my Ph.D. study was “Construction of Nanofibers from Supramolecular Self-assembly of Schiff-base Macrocycles and Metal Salphen Complexes”.I came to Japan through the “JSPS Postdoctoral Fellowship for Foreign Researchers” program soon after I received my Ph.D. degree and joined Professor Nobuo Kimizuka’s group. My post-doc research was on the synthesis of a series of ionic mixed valence ruthenium complexes in which their supramolecular morphologies could be regulated by ammonium counterions and solvent effect. In addition, I have also prepared a series of one-dimensional polymeric zinc porphyrin complexes with various linear, polar bridging ligands that was found to exhibit ferroelectric behaviors. I am confident that the bright future of Japan is in the hands of the younger generation and my job is to help students develop into independent, skillful and professional scientists with a positive mindset. If I have to summarize my teaching philosophy in one statement, it would be: Encourage students to be the master of their own project/research by rendering enormous freedom, respect and support. Organic π-electron system molecules exhibit many properties due to their electronic structures. My research is to create new organic π-electron system molecules showing interesting properties by design of molecule, synthesis, and measurement. This program is a good opportunity for students to expand their view. I hope the students to take advantage of the great opportunity, and I will do my best to support them. We aim to develop new materials for high-performance organic electronic devices. Organic chemists can synthesize a nearly unlimited variety and number of molecular structures, opening the door to interesting properties and outstanding performance. We would like to realize a new generation of optoelectronic devices by developing innovative materials. This program will help you to improve your core abilities as well as broaden your mind and perspective through discussion with experts in different areas of research and overseas training. Having participated in a similar program when I was a Ph.D. student, I am excited to share my experience and support the development of students into world-leading researchers / engineers / managers.